Ideal for use in the carriage of water or liquid products in capacities of up to 200 litres this design features a one piece moulding with a heavy duty 150mm diameter screw lid with buttress thread. 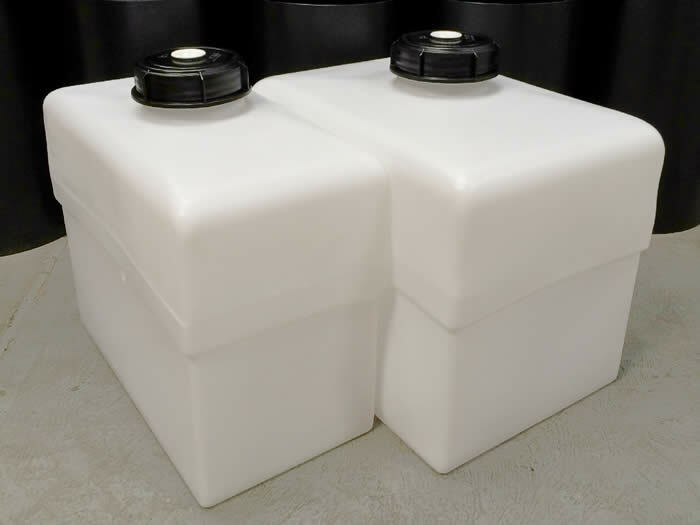 This same lid is used on our Dangerous Goods approved 1000 litre transport tank and is 10mm thick! The standard colour is Natural (translucent white) but we can mould these in a range of stock colours. Drains can also be fitted as needed. Click here for Circular Drum - Domed Series (Screw Top).